Become a part of the Keys' Cultural life! Your support sustains the vision of this world-class performing arts center in our community. By giving to the Tennessee Williams Theatre you are giving to the community. The goal of our arts center is to enrich and inspire the lives of the residents and visitors of Key West. Your involvement furthers this goal. Every gift, large or small, makes a difference. The Tennessee Williams Theatre staff and Board of Directors are firmly committed to build a foundation that will firmly support the TW Theatre for many seasons to come. We ask you to make a commitment as well. Take a moment to visualize the vibrant Key West you want to be part of your life in the coming years. If the Tennessee Williams Theatre is in that picture, please help with your donation today! To be able to fulfill our mission, we depend on the support of our generous donors. 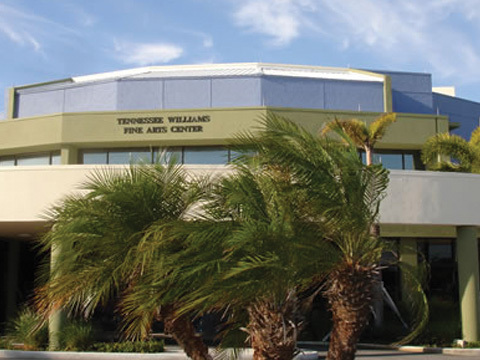 By becoming a Friend of Tennessee Williams Theatre today, you can ensure that the the theatre will continue to present world-class artists, provide a home to the Keys' premier performing arts groups and produce comprehensive programs for the entire community.